Shop for eyeliner’s. Greener Beauty is always vegan, always cruelty free, only ever ethical brands and always toxic chemical free. 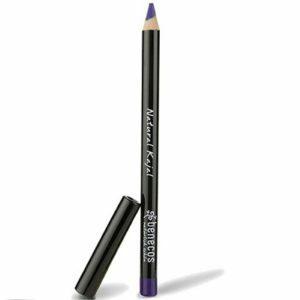 Eye defining pencils are formulated to provide a sharp line to use as an edge for your eye makeup and to clearly define your eyes the way you want to. 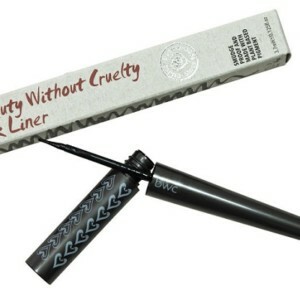 Beauty Without Cruelty Ink Liner is a smooth, smudge free liquid eyeliner, which is long lasting and flexible. 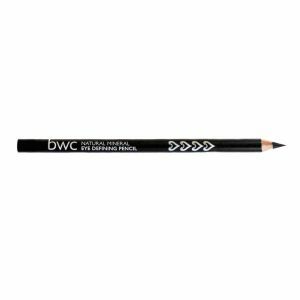 Beauty Without Cruelty Soft Kohl Pencil have a soft, easy blend texture for quick and comfortable application which gives intense colour and outstanding staying power. Benecos Natural Kajal Eyeliner in a variety of colours to enhance and deliver a bold look. See individual colours for specific information. INIKA Certified Organic eyeliners have a rich and creamy consistency unparalleled in the world of natural liners. Formulated to glide on easily, they deliver even depth of colour and real stay-ability. The colour pigments work in harmony with INIKA eyeshadows to create dramatic and iridescent effects. This organic formula is perfect for the most sensitive eyes. Zao Bamboo Refillable Felt Tip Eye liner is designed to suit the most sensitive eyes, using only premium quality raw ingredients. The felt tip design makes applying eyeliner easy, even for those who struggle to apply liquid eyeliner with a brush. ZAO Bamboo Refillable Liquid Eye liner is designed to suit the most sensitive eyes, using only premium quality raw ingredients. Featuring a new COSMOS certified organic formula enriched with aloe vera that cares for eyes and delivers intense colour. The eyeliner is now refillable to reduce plastic waste and features on-trend shades to compliment your look, as well as ever popular black. For the fair-skinned, dark brown works exceptionally well to avoid the harshness of intense black. Discover our new range of pencils for eyes, lips and eyebrows. Find some intense and deep colours to highlight your eyes and contour of your lips. Experience an easy make-up without dragging delicate skin on eyelids. Organic certified formulas, respectful of your skin, especially dedicated for sensitive eyes and skin. Also suitable for contact lens wearers. ZAO Refill Liquid Eye liner is designed to suit the most sensitive eyes, using only premium quality raw ingredients. Featuring a new COSMOS certified organic formula enriched with aloe vera that cares for eyes and delivers intense colour. The eyeliner is now refillable to reduce plastic waste and features on-trend shades to compliment your look, as well as ever popular black. For the fair-skinned, dark brown works exceptionally well to avoid the harshness of intense black.